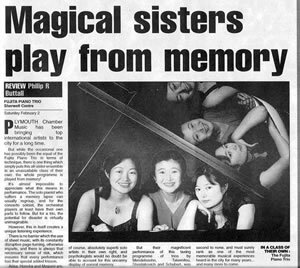 on "Ah vous dirai-je, Maman"
Three sisters, the Fujita Piano Trio, gave their audience a delightful concert to start Newport Music Club's new season at the Cosy Hall last Saturday. 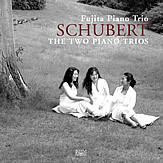 Having played together since childhood their unity and sensitivity as a trio was a joy to behold and as if that didn't give sufficient pleasure to their listeners, they performed their most demanding programme completely from memory so that we too were drawn into the magic of their music. 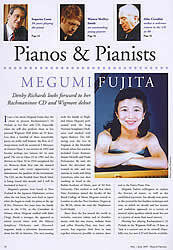 All their pieces were mature works written at the height of their composers' powers and so requiring breadth of character and outstanding technique. 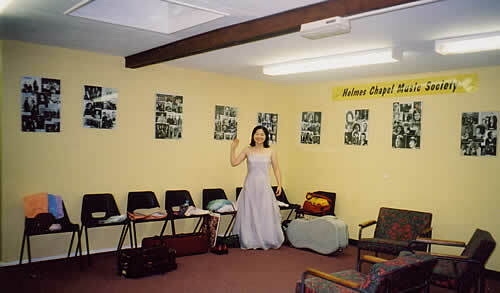 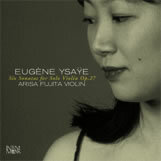 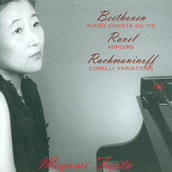 It would be almost impertinent to single out one of the sisters for her musical contribution but, as many in the audience remarked, we were amazed at the dexterity of the diminutive figure of Megumi Fujita who extracted not only a wealth of expression but the enormous range of tone required from Beethoven's chords. 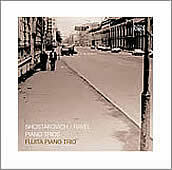 Perhaps the most interesting work was after the interval when the Trio played Dvorak's Opus 90. 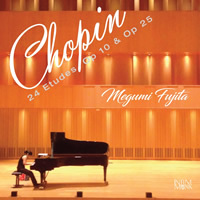 The changes of mood were quite sudden and extraordinary, displaying the exuberance of Dvorak's music with the same spirit of that of his most famous work, the New World Symphony, written when he went to America a year later. 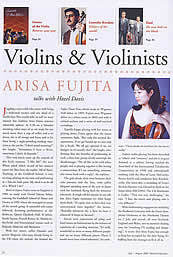 Needless to say it required and received a unison of skills among the Fujita sisters who ended their performances with a charming little minature by Frank Bridge. 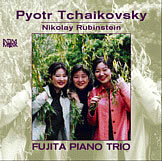 copyright©2018 Fujita Piano Trio all rights reserved.